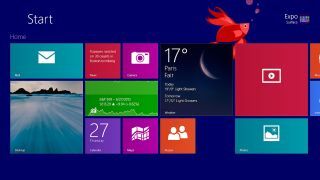 Microsoft has been forced to temporarily take down the Windows RT 8.1 update after some users experienced problems installing the software. The update arrived earlier this week, pledging to resolve some of the perceived flaws for devices like the Microsoft Surface RT tablet. However, amid reports some users updating their machines have experienced damage to their boot data rendering them useless until recovered, Microsoft has removed the update from the Windows Store. In a statement posted on the Microsoft Community forums the company did not specify the nature of the problem, but said it was working to resolve the issue as soon as possible. The company said: "Microsoft is investigating a situation affecting a limited number of users updating their Windows RT devices to Windows RT 8.1. As a result, we have temporarily removed the Windows RT 8.1 update from the Windows Store. "We are working to resolve the situation as quickly as possible and apologise for any inconvenience." Are you one of the 'limited number' of affected users? Share your experiences in the comments section below. The ARM-based OS has been a disaster for Microsoft so far, but here are five ways Windows RT can be saved.